Do you feel crushed under the confusion and chaos your life has become? "Superhero" spotted in Chicago. Masked vigilante or YouTube prank? You’re at the crossroads. Stuck between the confusion and chaos of life and achieving the dreams you don’t believe can be reached. Sadness. Unemployment. Relationship difficulties. Health problems. Do feel crushed under the confusion and chaos that you believe you life has become? The good news is that through The Apeiron, world-renown and award winning life-motivator Chip Carney can do what you’ve found so difficult — CHANGE YOUR LIFE. By learning the tenets of The Apeiron and embracing the natural state of things, you realize a potential you never knew existed. 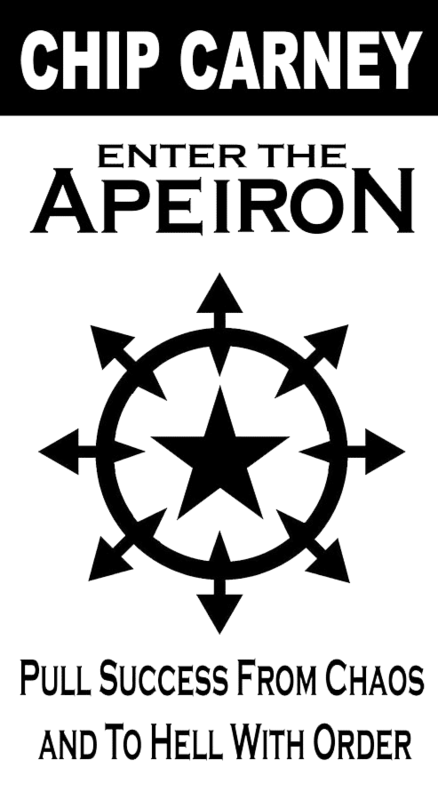 Step up and embrace the chaos of life and take control of THE APEIRON. CHICAGO- Sources say so-called superhero known as The Answer is now patrolling the streets of downtown and the Near Northside. Cellphone video captured Him allegedly foiling an armed robbery and preventing the attempted break-in of a bank in Old Town. 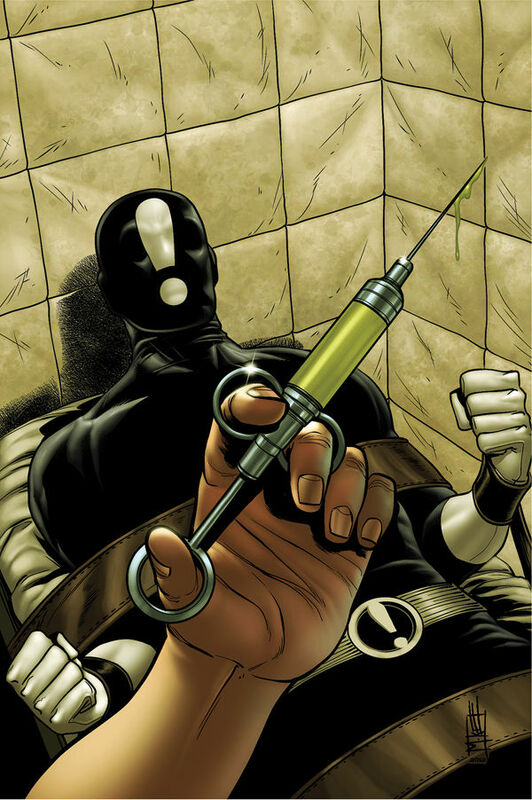 In the past, the masked vigilante has been spotted on the East coast in New York and most recently Washington, DC. Authorities have failed to apprehend or even witness the existence of this enigmatic character, leading many to believe he is just an elaborate hoax devised by college students eager to gain hits on YouTube. The owner of Albany Food & Liquor in Logan Square disagrees, however. He claims that The Answer foiled an attack outside his store last Friday, stating , “He swooped in like a super-guy, beat up those goons, and flew off into the night.” He added, “I think he needs a cape, though.”. Authorities encourage citizens not to engage The Answer if they witness his actions first-hand. The police commissioner himself has stated these are the antics of an “individual who is not well”, and warns not to even try to snap a pic with cellphones or other devices. The Answer is a thoroughly original superhero adventure from Mike Norton (creator of the Eisner award-winning webcomic Battlepug) and Dennis Hopeless (Avengers Arena, Cable and X-Force) skillfully mixes sly humor and explosive action. Devin McKenzie is an insomniac librarian with a knack for solving puzzles. The Answer! 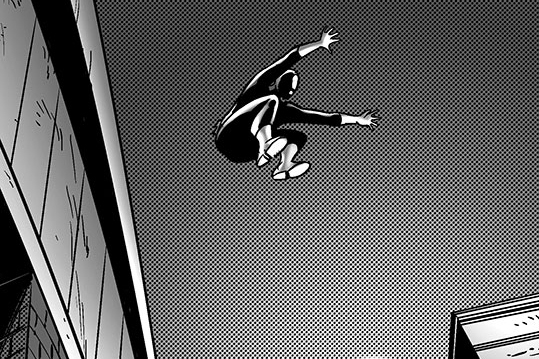 is a masked crime fighter with a giant exclamation point on his face. Aside from a penchant for late nights, they share nothing in common… until both become embroiled in a deadly mystery surrounding a sinister motivational speaker! Eisner Award-winning creator of Battlepug! 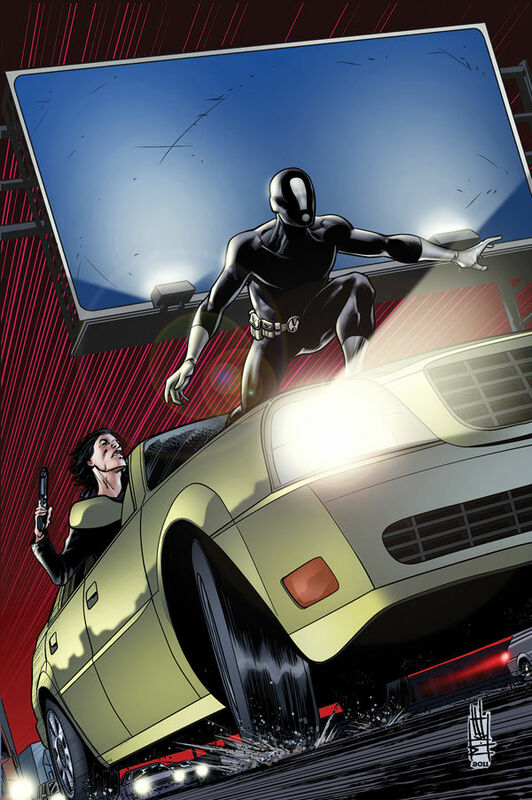 Superhero mystery with explosive action! Written by Dennis Hopeless (Cable and X-Force, Avengers Arena)! 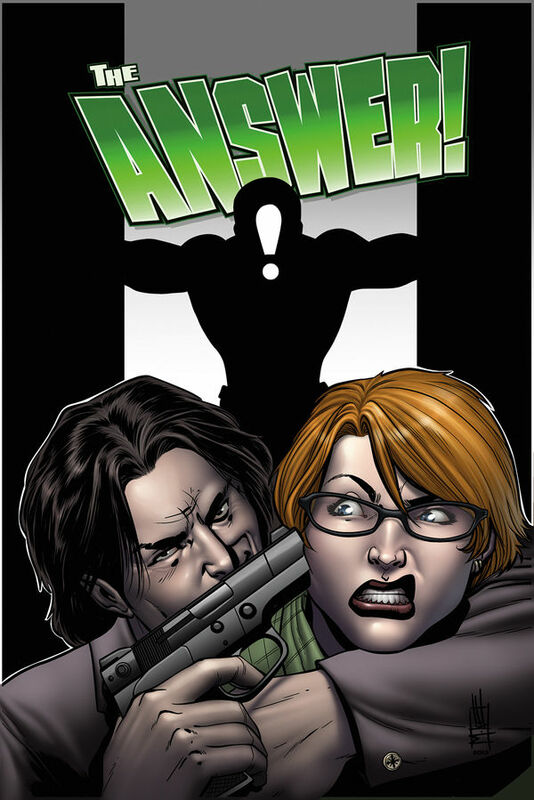 Order The Answer #1 from TFAW! On the run in Cincinnati, punctuation-faced hero The Answer must rescue the abducted librarian Devin from a sinister gang of asylum nurses and orderlies… but she may not WANT to be saved! More insane superhero adventure! Order The Answer #2 from TFAW! While Devin is living out her dream, working among the greatest minds in the world, the Answer is stuck in a nuthouse nightmare! They'll both have to wake up and work together if they're going to unravel the secrets of the enigmatic BRAIN TRUST. Order The Answer #3 from TFAW! A mind is a terrible thing to waste. Can Devin and the Answer think their way free of the Brain Trust before CHEMICAL X breaks their brains for good? The explosive conclusion of this superhero mystery! Written by Dennis Hopeless (Cable and X-Force, Avengers Arena) and Mike Norton (Battlepug, Revival)! Order The Answer #4 from TFAW! Copyright © 2005– Mike Norton. All rights reserved.